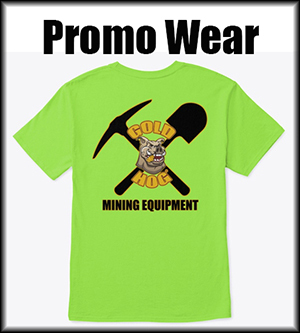 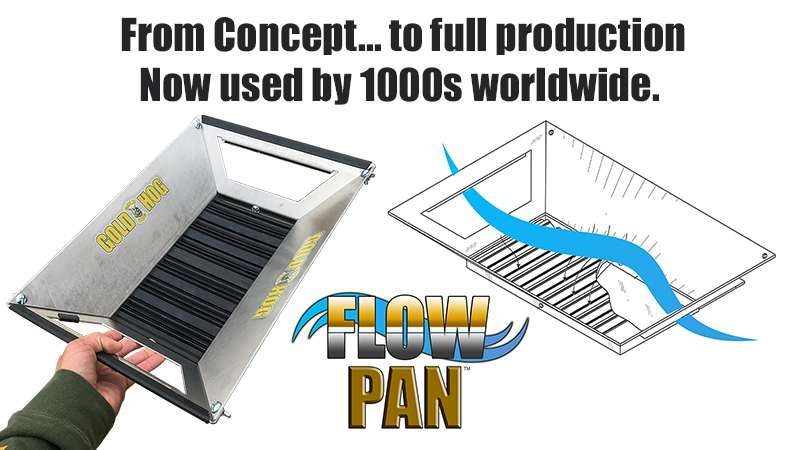 1000s and 1000s of miners and prospectors around the world LOVE their FlowPans. 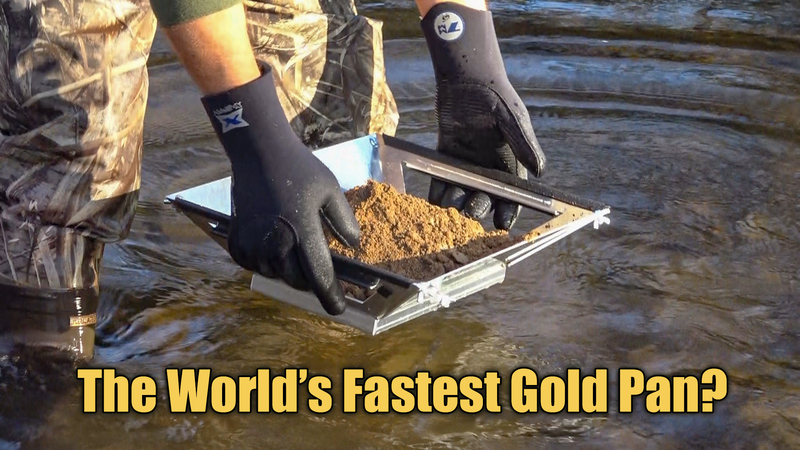 It’s being called the world’s fastest, because there is no longer a need to classify. Simply dump in RAW, unclassified pay, work, flush, and you’re done. a full pan of dirt takes about 15 – 30 seconds. 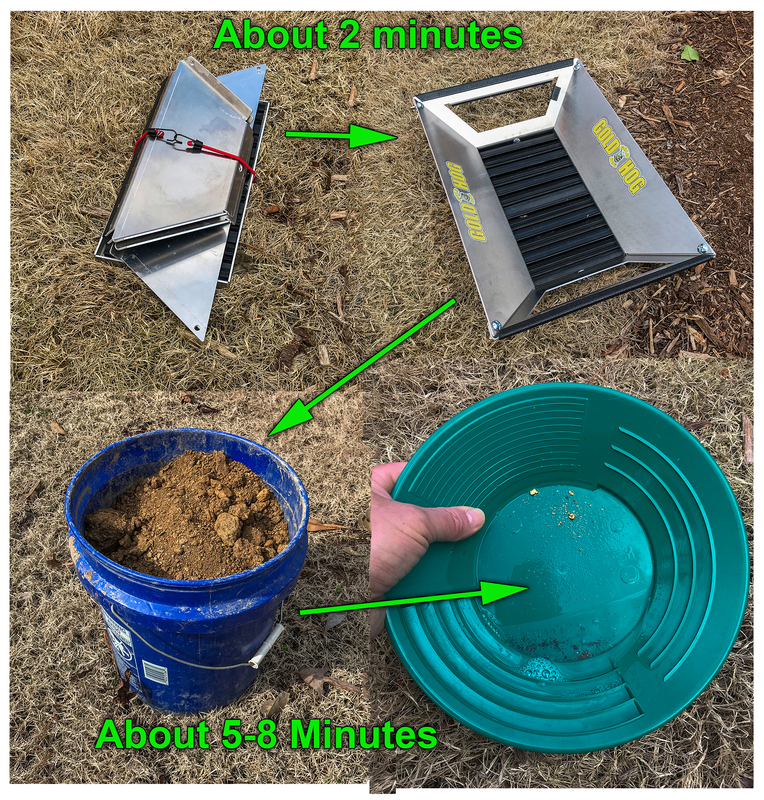 A 5 gallon bucket can be worked in about 5-10 minutes. 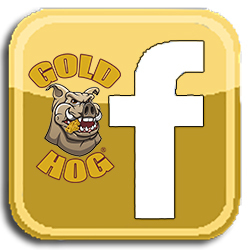 FYI… It’s TOUGH as a beast. 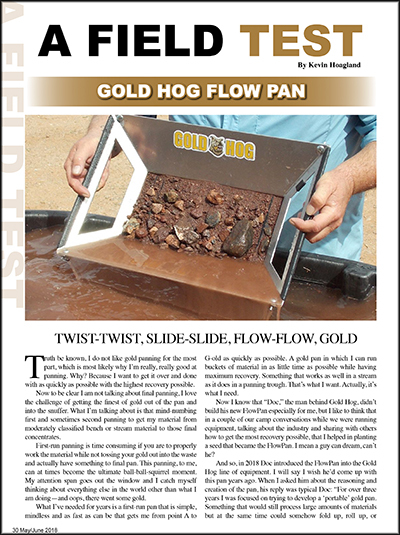 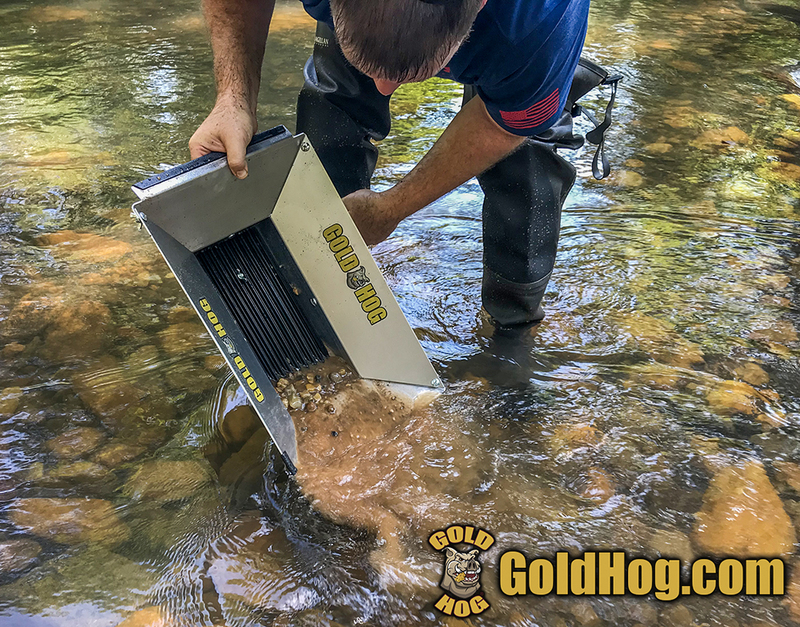 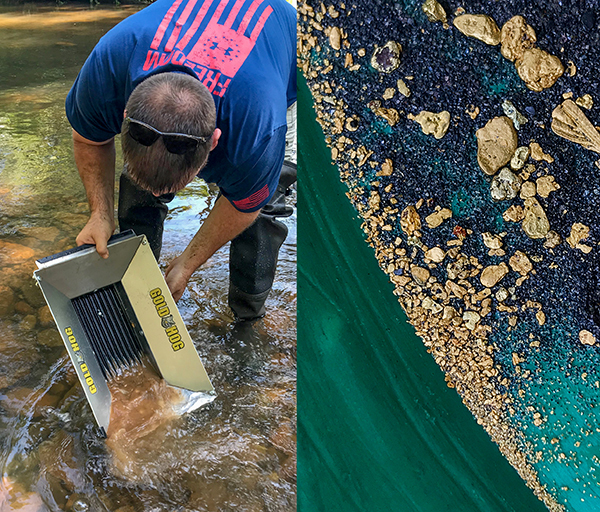 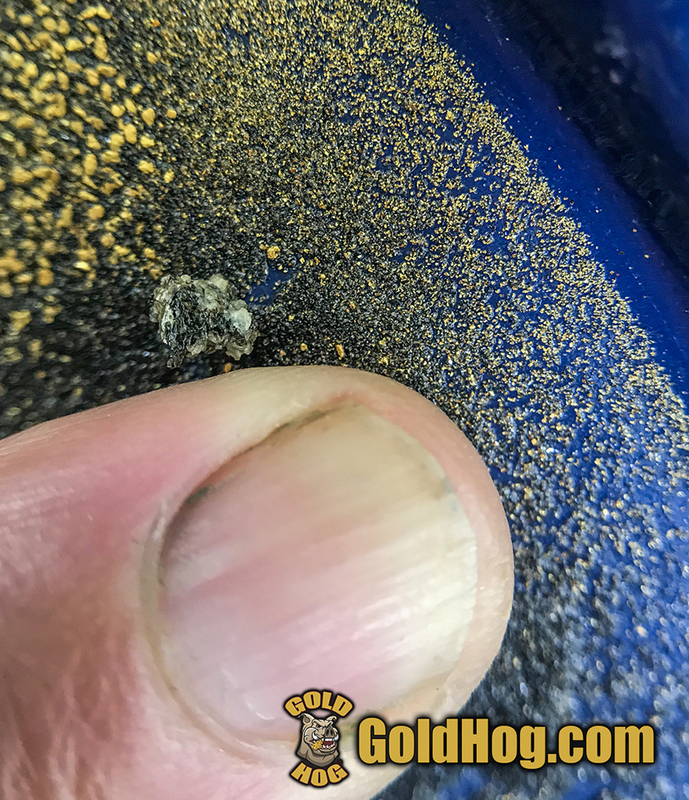 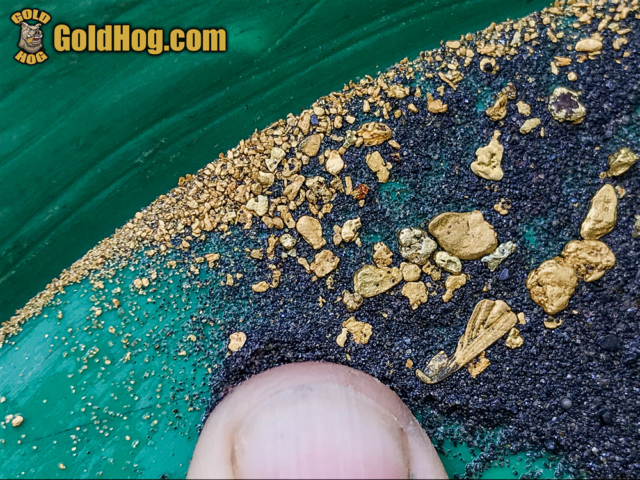 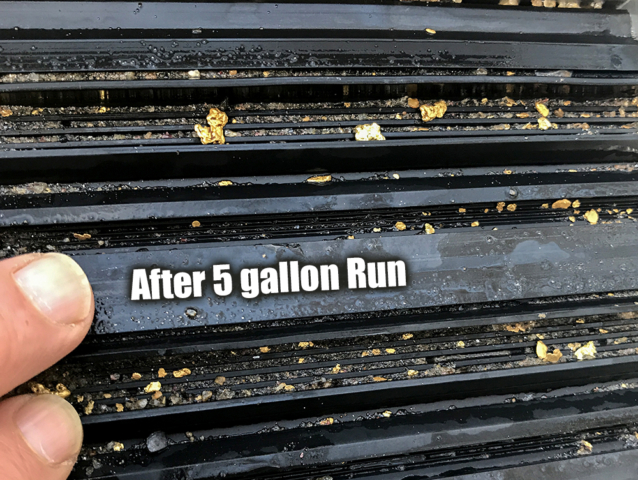 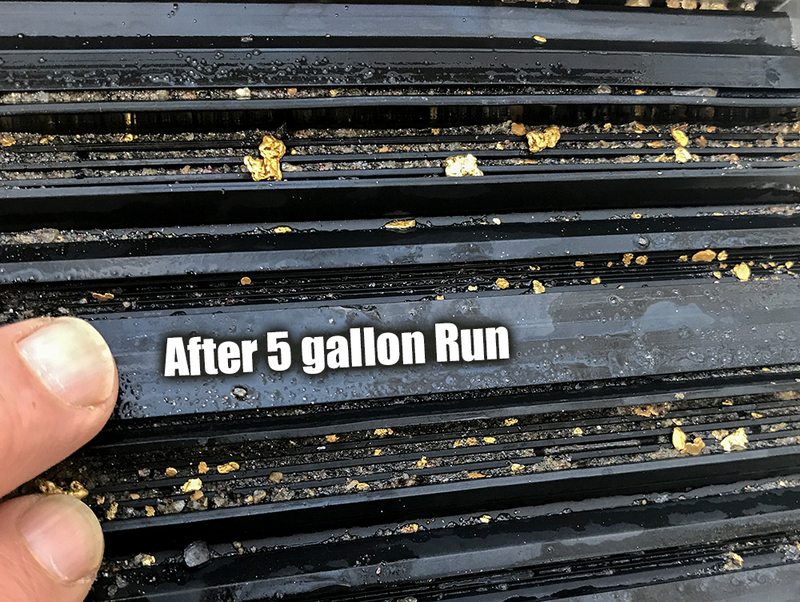 Kevin Hoagland, a life long miner, prospector, and TV Show Host, gives the FlowPan a field test. What’s great about this “VIEW” of the FlowPan is that like many miners, Kevin really does not like to PAN. 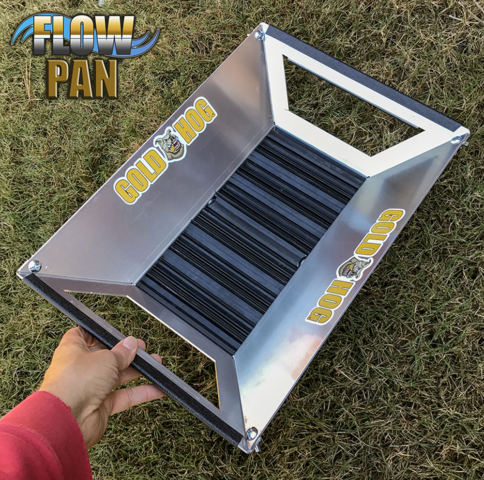 He quickly realizes that the new FlowPan takes panning from a PAIN… to a pleasure and that it is FAST… like we say it is. 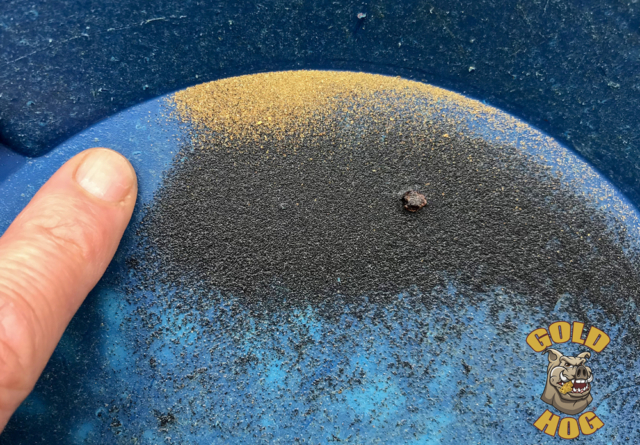 On a side note… Kevin spends a lot of time in the desert. 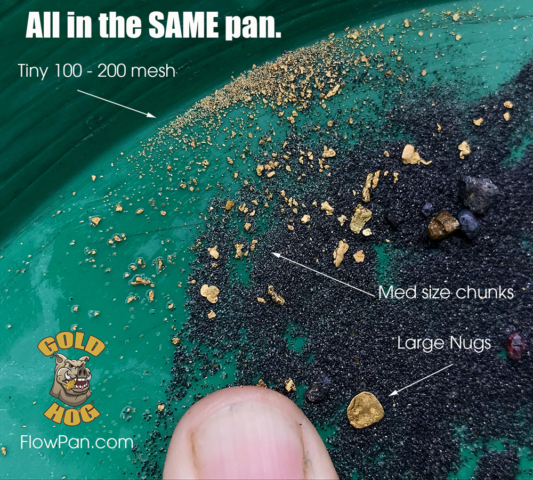 He found the pan to work really well dry panning as well. 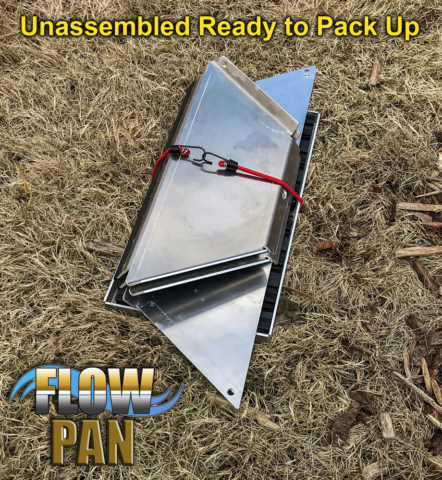 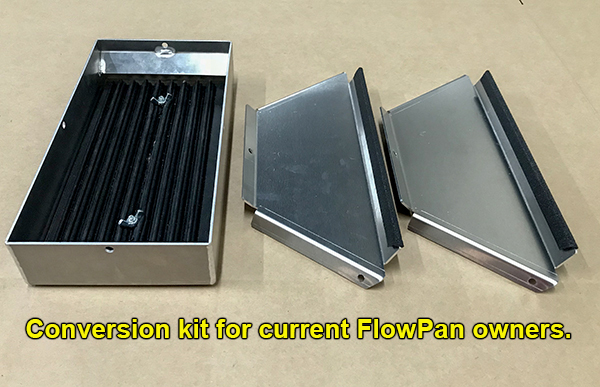 There are two ways to order the FlowPan, Standard with flow through sides and Full Package with the additional solid sides and con box. 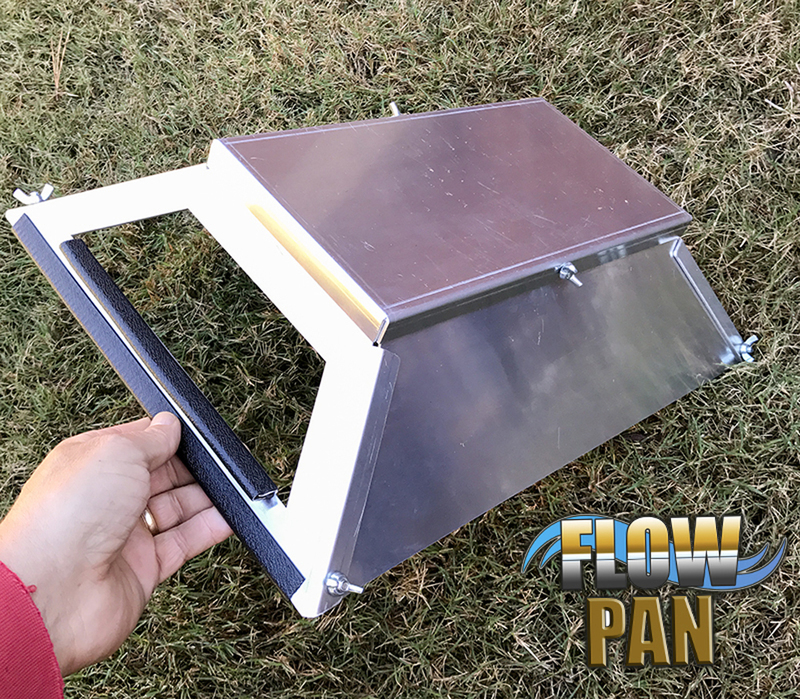 Watch the videos at www.FlowPan.com and learn how to use it. 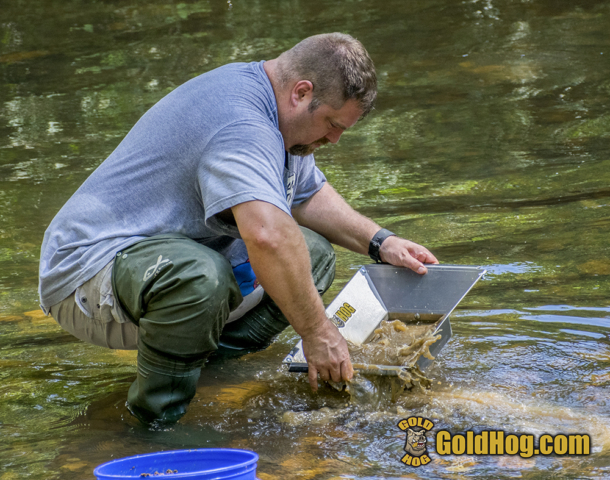 It’s all about the technique and learning. 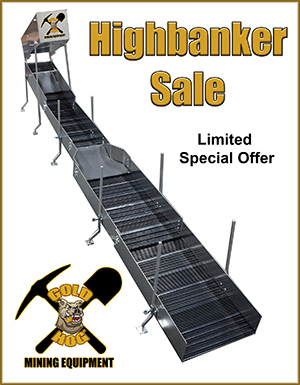 Our #1 seller and what most need to buy. Includes the FlowPan with mat. 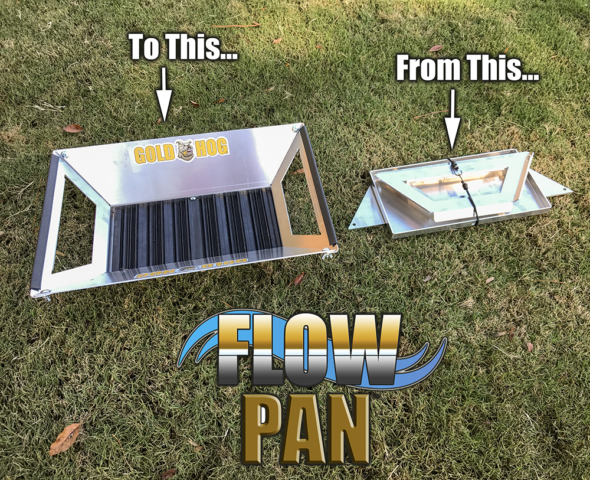 Includes the FlowPan above, plus solid sides and the deep con box show below. 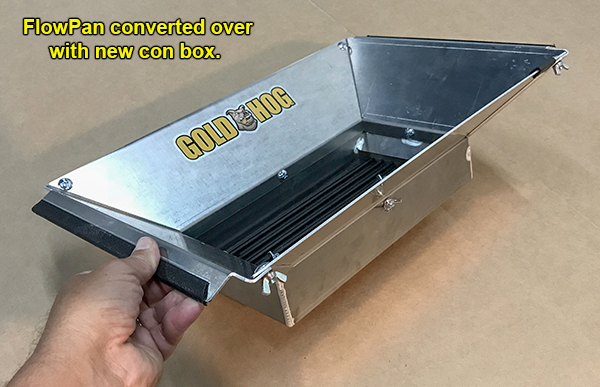 This kit includes the con box, mat, and two solid sides. 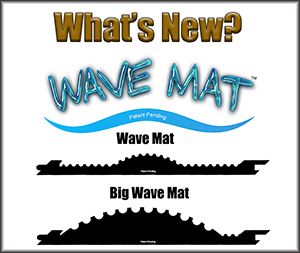 US only contact us for other countries.